Late one evening the kids and I sat cuddled up watching a movie together. My husband who works nights came home and said: “come on outside guys it’s raining”. For a moment or two, I looked at him like he was crazy. Here it was 8 o’clock at night and he wanted to go play in a downpour. Reluctantly I went outside to watch my husband run around with 3 of our 4 children. Xavier was not convinced this was a good idea.Xavier finally decided he wanted to join in on the fun but found himself overcome with fear. Knowing that he wanted to play but not wanting to brave the darkness alone I grabbed Xavier up. We ended up having just as much fun if not more than the others. So here we were has a family unit not worrying about what the neighbors thought (this was my fear) or how much mess this was going to make on my nicely cleaned floor. We were in this together. Laughing, running and even dancing. How many times do we stop in our tracks to talk to someone about God because we are afraid of what others might think? How many times do we face various storms in our lives and we are so filled with fear that we miss out on the blessings that go along with that particular storm? No matter what storms we face in our lives God is our rock. We are never alone. He is right there with us with his shield of protection. We miss out on so much because we allow fear to could our thoughts and our minds. 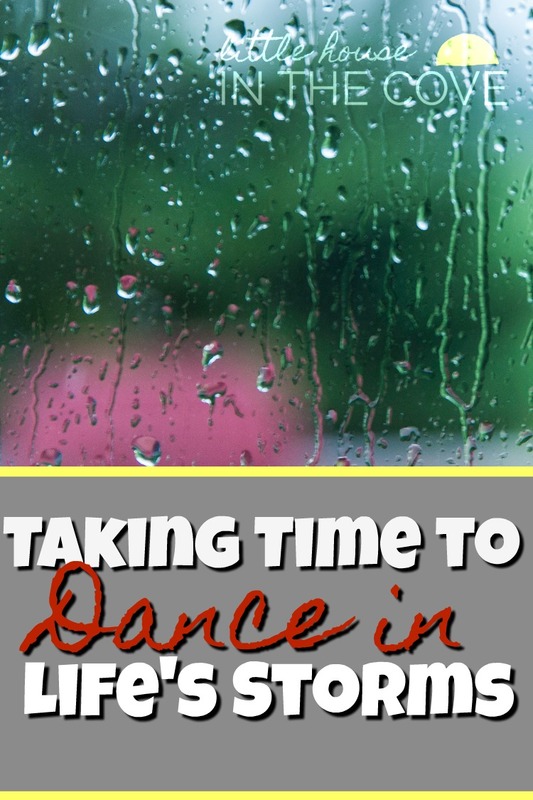 When what we need to do is take time to dance in the storms of life and truly embrace the fact that God is right there with us, shielding us and protecting us. This doesn’t mean that it is always going to be easy. It also doesn’t mean that there won’t be times when we will want to cry. Yet, after every storm, there is always a rainbow and that is a truth I can stand firm in. God never said there wouldn’t be hard moments. However, He did say that we would never face these hard moments alone. Our ability to find joy in those moments is what helps others to see Christ working through us and in our lives. What blessings can be found in a storm that you are dealing with? Have you asked God to take you by the hand to lead you through it? 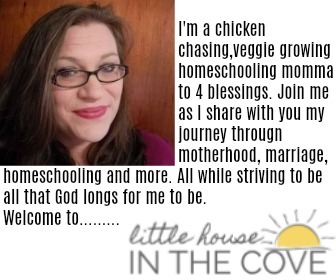 What a fun and freeing family activity! It makes me want to run outside next time it rains with my husband and kids. Thanks for the idea! I have weathered many personal storms. The main blessing has always been trusting God more as He pulled me out of them. My husband is also the one who is more inclined to go out and do things like play in the rain…or MUD! lol Me? I just can’t help of thinking of all that laundry! But yes, the special times and memories with the kids ares so worth it! So true – I sometimes let the “but what about” thoughts stop me from seizing the moment. But there are blessings in willingly stepping into the opportunities God places in our paths!